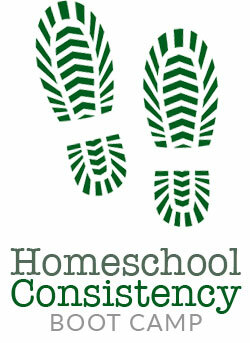 Welcome to the Homeschool Consistency Boot Camp. We are so glad you are here. The Boot Camp Warm-up Week starts Monday, February 18. Until then watch the intro video below. There is also a completely optional warm-up lesson available as well. If you don’t get to it, no problem, but if you are wanting something to think about as you wait, download the short lesson and check it out. Also, be sure to come over and introduce yourself in the forum. Click the graphic to download the optional Waiting Week activity. Do not stress if you don’t get to it — that is why we call it optional. Have a question or want to discuss this lesson? Head over to the forum to reach out to our mentors and community. You should have gotten a special invite to join the forum in your email when you purchased the Boot Camp. Please email us at info@pambarnhill.com if you did not.